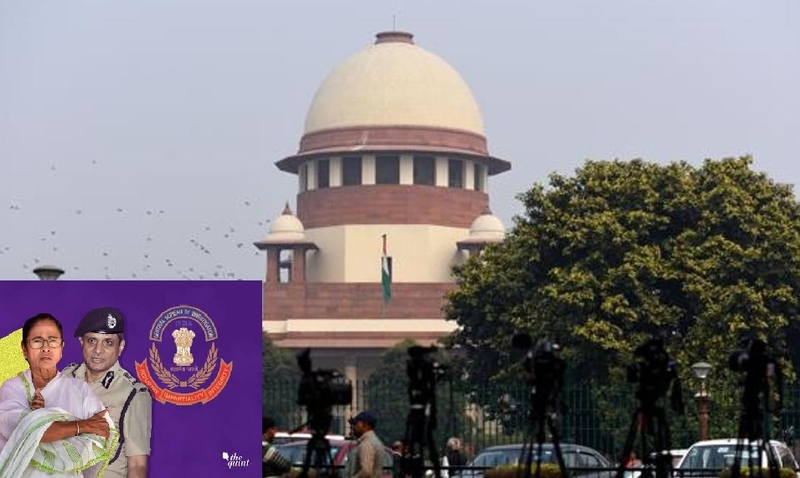 THE Supreme Court in on Tuesday termed as “very very serious” the revelations made by CBI in its fresh status report relating to the recent interrogation of the then Kolkata Police Commissioner Rajeev Kumar in connection with the Saradha chit fund scam case. A bench headed by Chief Justice Ranjan Gogoi said it cannot “close its eyes” if some “very very serious facts” are disclosed to it and directed CBI to file an application seeking appropriate relief against Kumar, who had earlier headed the state SIT on the chit fund scam. The bench, which also comprised Justices Deepak Gupta and Sanjiv Khanna, granted 10 days to the probe agency for filing the application. Kumar and others can respond to the plea seven days thereafter. Supreme Court said that as the CBI’s status report was filed in a sealed cover, it cannot pass any order at the moment without hearing the other side. The apex court was hearing the CBI’ contempt application against various senior officials of the West Bengal Government including state’s Deputy General pf Police DGP and then Kolkata police chief on the ground of non-cooperation in its probe and alleged destruction of evidence. Solicitor General Tushar Mehta, also appearing for CBI, said that there has been serious breach of the apex court order asking state police to cooperate in the investigation.